Few acts in hip-hop have a more boots on the ground, grind it out type of mentality than Nipsey Hussle. And although Victory Lap is his first major foray, he got to this point through sheer independent hustle (pun intended) that’s built him a serious fan following and a ton of respect from peers and purists alike – and all without having a real major chart-topping record to his name. For those concerned that that might all go away now that he’s signed to Atlantic Records, I’m here to say that those fears are unfounded as Victory Lap is still chock-full of that independent spirit and it’s Nipsey Hussle as we’ve always been accustomed to. So good news for longtime fans, bad news for those wanting to hear real progress or something new. Lyrically he hasn’t really grown much, BUT it’s not all about lyricism and rap ability with him but more about the things he says and the way he says them. His raps are full of motivation and ‘game’ (a la early Jeezy) and he’s very much the voice of the people; he represents that west coast lifestyle to the fullest. It’s all about on par with his past albums, just good to great west coast hip-hop that doesn’t look to shake things up too much – he knows his lane very well and sticks to it. If you’re a fan of Nipsey then you’ll love this one too, but if you never a fan before, I don’t see much here to change your mind. Have you heard Victory Lap? What’d you think about it? Where would you rank this among his other projects? Do you want to hear more progress/evolution from him or are you cool with him staying in his lane? Let me know in the comments below and be sure to leave your own ratings and reactions to the album. Nipsey Hussle's raps are full of motivation and 'game' (a la early Jeezy) and he's very much the voice of the people; he represents that west coast lifestyle to the fullest. 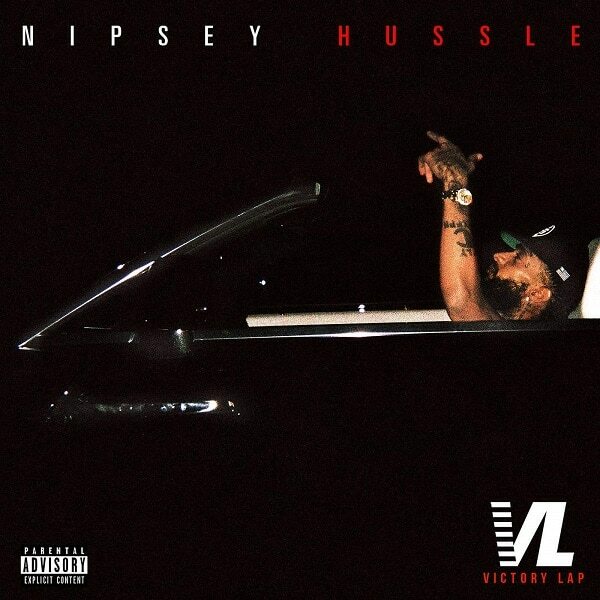 Victory Lap is about on par with his past albums, just good to great west coast hip-hop that doesn't look to shake things up too much - he knows his lane very well and sticks to it. If you're a fan of Nipsey then you'll love this one too, but if you never a fan before, I don't see much here to change your mind.